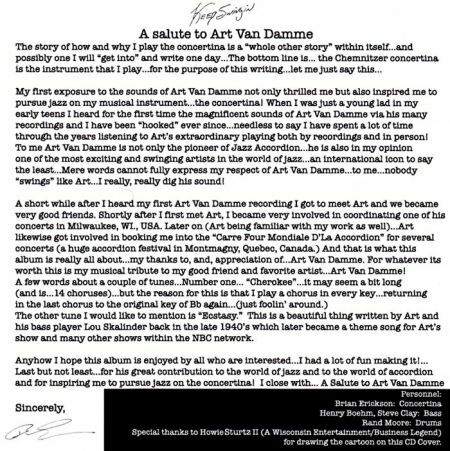 A Salute to ART VAN DAMME "Keep Swingin"
"Brian…its noontime on Saturday as I’m listening to your latest C.D… I was just wanting to let you know I got the C.D… and really get a kick out of it!!! I enjoy it very much… I especially get a kick out of what you did with "Cherokee." You should be very, very proud!!!" "To me this album is a culmination and successful completion of what Brian Erickson has always wanted to do with the concertina. Brian mastered the technicalities of the concertina at a very young age… all by himself… In his early teens he was bit by "The Art Van Damme bug"… and having already invested a lot of timein his chosen musical instrument… the concertina… he wanted to do something similar with the concertina that Art Van Damme did with the accordion. Brian studied music theory on his own and also with the likes of Dave Remington and most especially the great jazz clarinetist Don Chesebro… learning all he could about chord substitutions, tri-tones, harmonies, related-theory, etc… After listening to his album… I think Brian must have invented a few tricks of his own. When Brian plays the concertina with his feel for jazz and his uncanny use of the bellows… this instrument becomes something totally different… IT SWINGS!!! 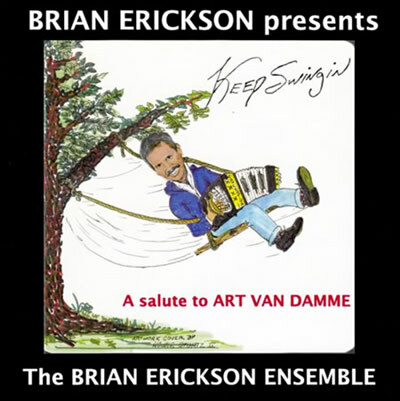 Just as the great Art Van Damme turned his chosen instrument (the accordion) into a magnificent jazz force!…"
"Brian Erickson also has taken his musical instrument (the concertina) and demonstrated its capabilities in the world of jazz as well." 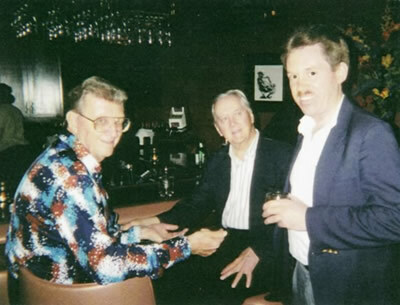 Pictured above (left to right) Art Van Damme, Freddie Rundquist (Art’s Guitarist) & Brian Erickson having a drink together after one of Art’s gigs at the "Jazz Corner" in Hilton Head, North Carolina, USA.